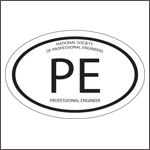 On November 12, NSPE-PAC Chairman Jeff Elliott, P.E., F.NSPE sent an e-mail to all NSPE members emphasizing the value and importance of NSPE-PAC, the ONLY PAC dedicated solely to promoting the professional engineer. With the 2016 election season kicking into full gear, Chairman Elliott pointed out that despite challenges in Congress in recent years, due to NSPE's devoted membership, proactive advocacy efforts, and your continued support of NSPE-PAC, NSPE has been able to influence Congress on critically important issues such as drinking water infrastructure, a long-term transportation bill, and the need for licensed PEs to work on federal engineering projects, as demonstrated by the recent Gold King Mine blowout. 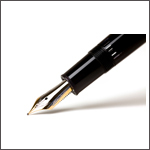 Learn more about NSPE-PAC and contribute today.